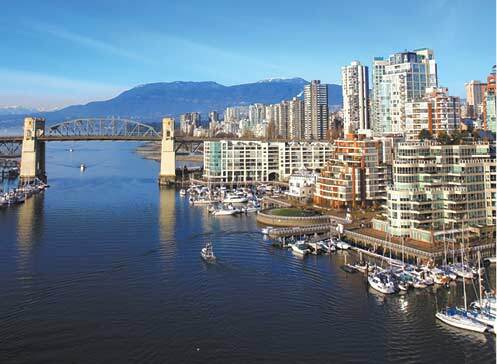 The country has an estimated population of 85,632 as of July 2009. The majority of the ethnic groups in the country are of African origin, with 91% black, and the rest of British, Irish, Portuguese, and Arab origins (mainly Lebanese, Palestinian, and Syrian). Most people in the country live on the main and biggest Island, Antigua, especially in the town of St. John's, the capital. Today, there are also an estimated 4500 American citizens living in Antigua and Barbuda. The median age of the population, according to CIA World Factbook, is 29.7 years. An island nation situated in the east of the Caribbean Sea, east-southeast of Puerto Rico, and off the coast of South America, Antigua and Barbuda, which literally means "Ancient" and "Bearded, is one of the most prosperous nations in the Caribbean and on of the top tourist destinations in the world. Its tropical climate and white pristine beaches have made the country a favorite stop-off point for cruise ships, drawing travelers from around the world as well as businessmen investing in the country. As a major tourist hub, visitors can find beautiful beaches and water sports centers in the Islands, and an abundance of exclusive luxury hotels and resorts. 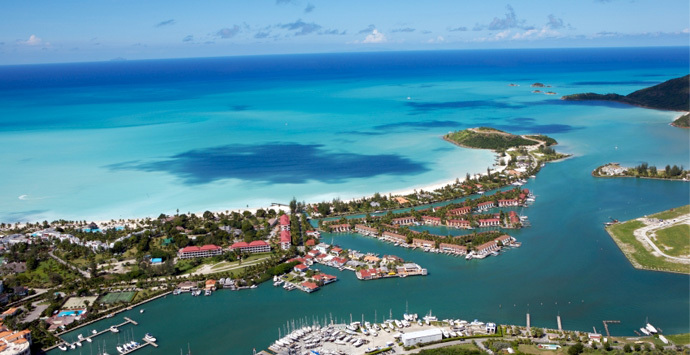 In addition to that, the country's annual Antigua Sailing Week attracts both locals and sportsmen from all over the world. 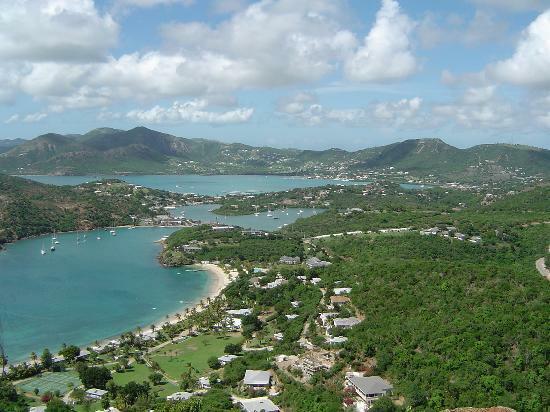 Antigua and Barbuda comprises of two major islands and several islets. The terrain is mainly low-lying with the highest elevation at 1,330 feet. The main island, Antigua, is characterized by an indented shoreline with beautiful white beaches and many natural harbors. A terrain of mostly coral limestone with a huge western harbor characterizes the other major island, Barbuda. 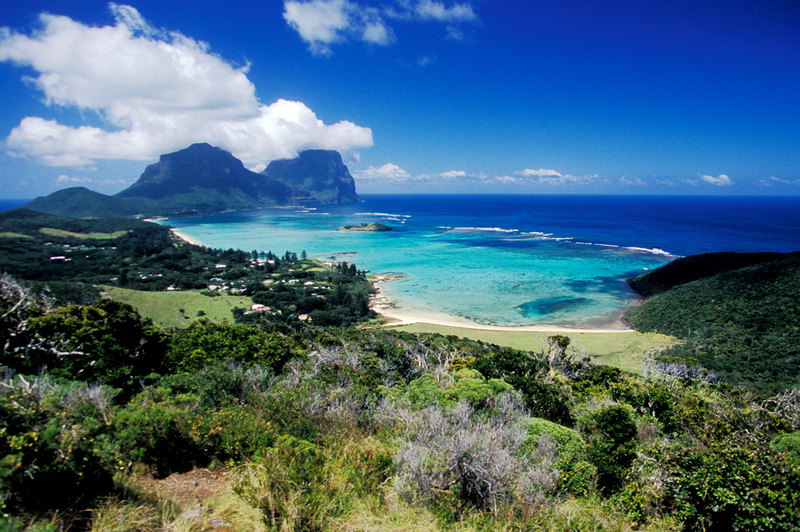 The country has a pleasant tropical marine climate that is a real boon to tourism. The months of July to October may be best to avoid, since they often bring hurricanes and tropical storms. The roots of the present Antigua and Barbuda can be traced back as early as 2900 BC with the pre-agricultural Amerindians, known as the "Archaic People", as the first settlers. The Saladoid then succeeded them, and later the Arawaks, the first documented tribes living mainly in Antigua, settled the Islands. When Columbus landed in 1493, the Arawaks still inhabited the Islands. Major changes came with the Spanish and then the French, but it was the English who formed a colony in 1667 and strengthened Antigua and Barbuda. After many years, a milestone occurred in the Islands when slavery was abolished for good in 1834. And in 1981, Antigua and Barbuda finally gained its present status as an independent state within the British Commonwealth of Nations. Since tourism is one of the main focuses of Antigua and Barbuda's economy, if not the only focus, the country has really taken advantage of its natural and beautiful assets: the pristine beaches and world-class diving spots surrounding the Islands. Antigua and Barbuda proudly claim 365 beaches that represent one beach for each day in the year. Many top tourist attractions are found in the capital, St. John. In addition to beautiful beaches and various water sports hubs, the town has many interesting historic sites and notable colonial architecture, including the baroque-style Cathedral, Museum of Antigua and Barbuda, and historical forts, especially Fort James. 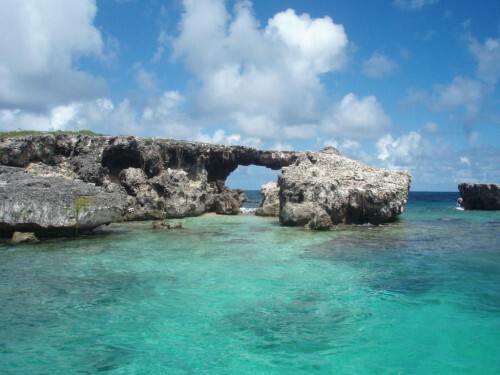 In addition, some other famous attractions include the Bird Sanctuary, the Codrington House, Darby Sink Cave, the Martello Tower, and the center of Barbuda itself. Codrington is one of the main hubs of various water sports in the Islands. When the sun sets in Antigua and Barbuda, nightlife takes off in the Islands offering world-class diversions. You can find various clubs, disco bars, and live music hubs, playing local and foreign music including reggae, jazz, hip hop, and, of course, calypso, and soca music until the wee hours. You can party in Abracadabra Disco Bar, The Castaways, The Beach, or dance all night long in The Coast, The Gallery, or The Diamond Ice. If you're more literary minded, you could stay in Hemingway's Caribbean Cafe with a West Indian-style ambiance located in St. John's, the capital of Antigua and Barbuda. The prominent religion is Christianity comprising 74% of the population, which is primarily Anglican. The other Christian denominations are Baptists, Catholics, and Presbyterians, with smaller groups of Baha'i, Islam, Judaism, and Rastafari. Due to long years under the British government, the locals can speak English, the official language of Antigua and Barbuda, but most of the population can also speak the Antiguan Creole dialect. Moreover, various communities in the Islands also speak Spanish. 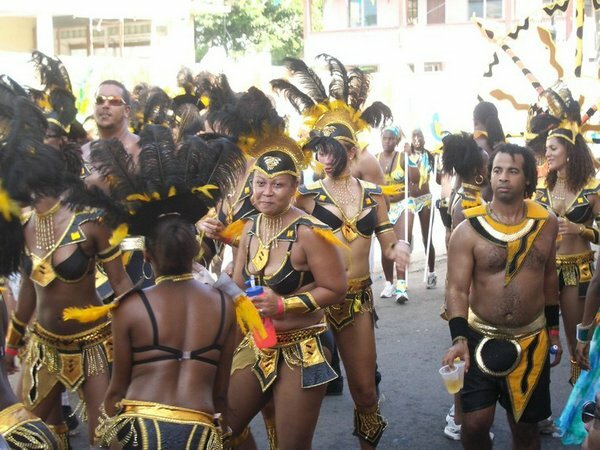 You may notice the difference in the accent between the Antiguans and the Barbudans.